This Yamato Kami Minamoto yasumichi belongs to Jyo saku ranking. 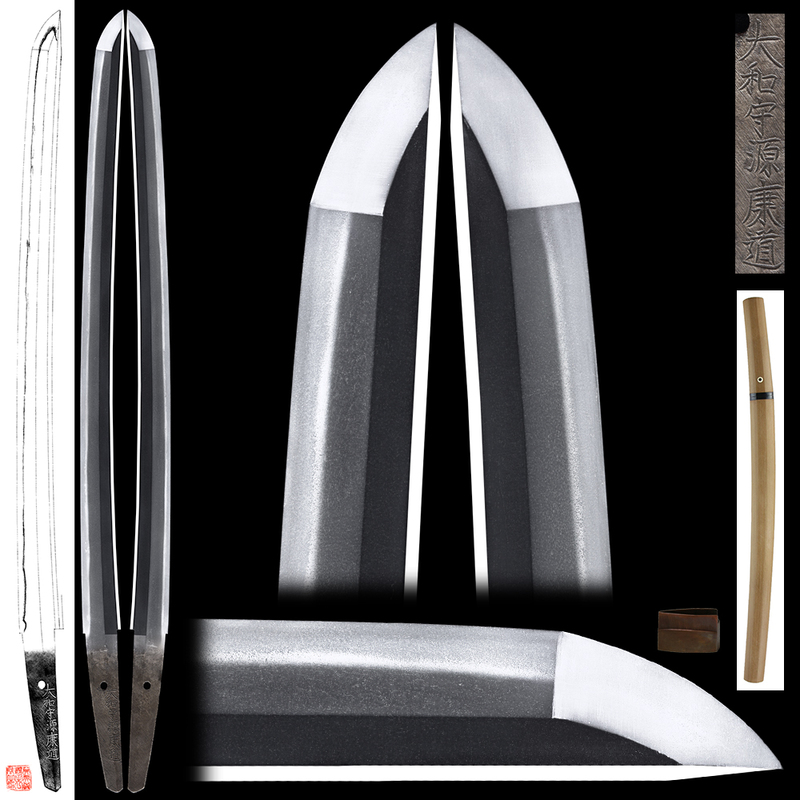 Blade length : 52.42cm or 20.63 inches. Sori : 1.2cm or 0.47 inches. Width at the hamachi : 3.07cm or 1.20 inches. 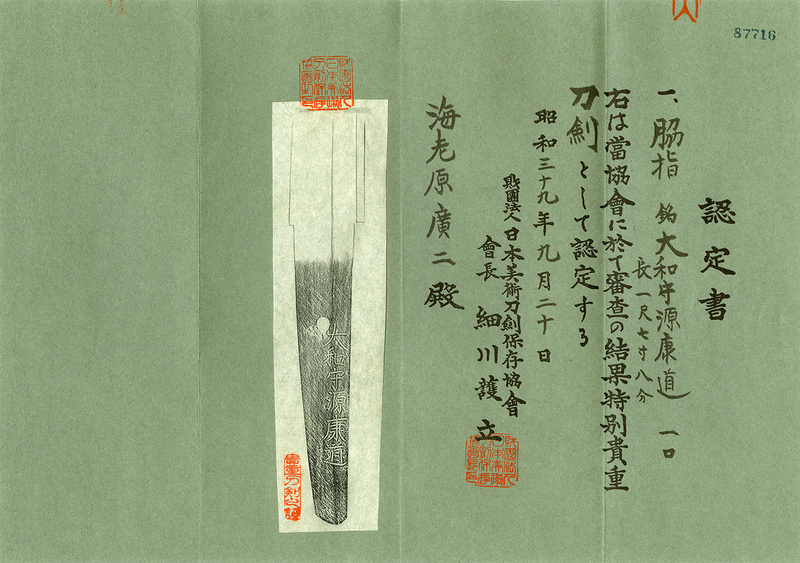 Width at the Kissaki : 2.32cm or 0.91 inches. Kasane : 0.64cm or 0.25 inches. Jitetsu : Ko-Itame Hada well grained with JInie attached. It is clear Jihada. Hamon : Nie Deki clear bright Hamon with round end Boshi. Special feature : Yamato Kami Yasumichi is the sword smith of Mino province. He is known as the sword smith of Akasaka Senjyuin group and Owari. The Jigane is clear and well grained.